UNHCR welcomed the Asylum Office of the Ministry of Interior ruling on 15 applications for asylum during March, granting protection to 11 and rejecting four. 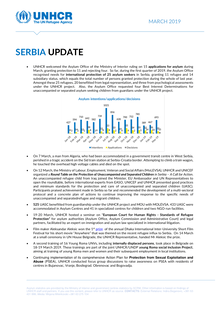 So far, during the first quarter of 2019, the Asylum Office recognised needs for international protection of 25 asylum seekers in Serbia, granting 11 refugee and 14 subsidiary status, which equals the total number of persons granted protection during the whole of last year. Amongst these 25 refugees, 20 benefitted from legal representation, and three from psychological assessments under the UNHCR project. 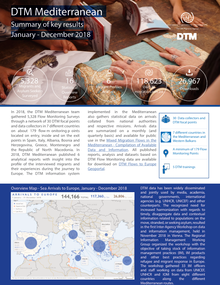 In 2018, the DTM Mediterranean team gathered 5,328 Flow Monitoring Surveys through a network of 30 DTM focal points and data collectors in 7 different countries on about 179 flow m onitoring p oints located on entry, inside and on the exit points in Spain, Italy, Albania, Bosnia and Herzegovina, Greece, Montenegro and the Republic of North Macedonia. 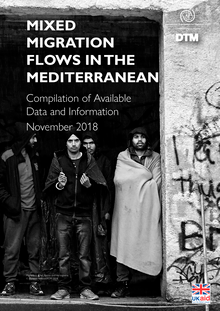 In 2018, DTM Mediterranean published 6 analytical reports with insight into the profile of the interviewed migrants and their experiences during the journey to Europe. 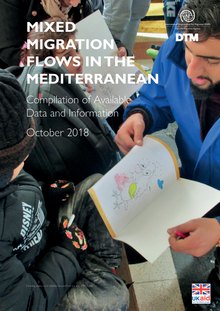 Between 1 January and 30 November, 131,100 refugees and migrants reached Europe via the three Mediterranean routes compared to almost 171,430 arrivals in the same period in 2017. 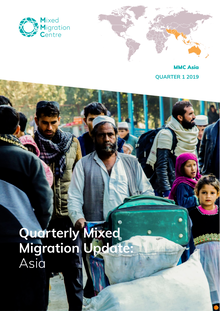 This marks a 25% reduction from the previous year’s arrival figures, showing a continued declining trend of the overall arrivals numbers to Europe. 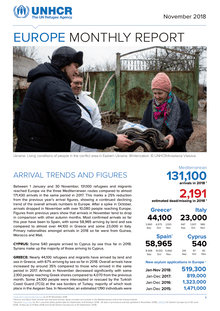 After a spike in October, arrivals dropped in November with over 10,080 people reaching Europe. 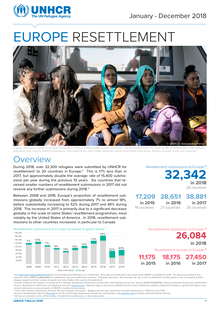 In 2018, some 141,500 refugees and migrants arrived in Europe through the Mediterranean migration routes. On average one in every four was a child. This included an estimated 6,000 unaccompanied and separated children. 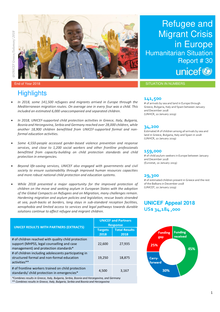 In 2018, UNICEF-supported child protection activities in Greece, Italy, Bulgaria, Bosnia and Herzegovina, Serbia and Germany reached over 28,000 children, while another 18,900 children benefitted from UNICEF-supported formal and nonformal education activities. 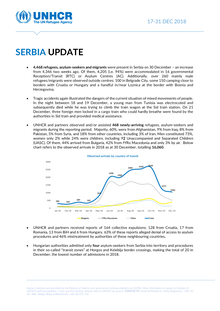 4,468 refugees, asylum-seekers and migrants were present in Serbia on 30 December – an increase from 4,346 two weeks ago. Of them, 4,205 (i.e. 94%) were accommodated in 16 governmental Reception/Transit (RTC) or Asylum Centres (AC). 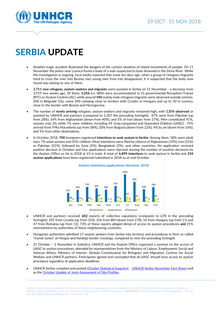 Additionally, over 260 mainly male refugees/migrants were observed outside centres: 100 in Belgrade City, some 150 camping close to borders with Croatia or Hungary and a handful in/near Loznica at the border with Bosnia and Herzegovina. 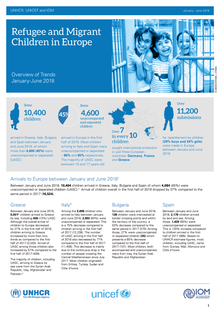 According to the available data from national authorities and IOM offices, a total of 122,947 migrants and refugees arrived in Europe between January and October 2018. Estimated 81 per cent of migrants and refugees arrived by sea (99,174). 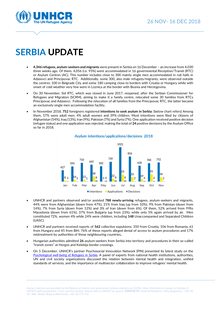 A total of 27,972 migrants and refugees were registered in Bosnia and Herzegovina, Montenegro and Albania since the beginning of 2018, thirteen times more than the 2,199 reported in the same period last year and a ten times increase compared to the 2,725 registered in the whole of 2017. 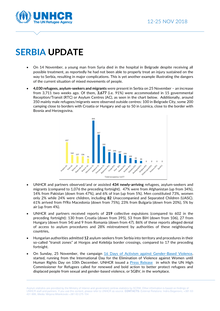 On 14 November, a young man from Syria died in the hospital in Belgrade despite receiving all possible treatment, as reportedly he had not been able to properly treat an injury sustained on the way to Serbia, resulting in major complications. 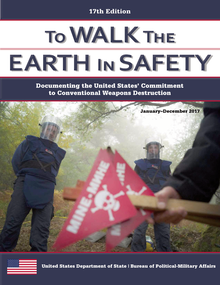 This is yet another example illustrating the dangers of the current situation of mixed movements of people. Another tragic accident illustrated the dangers of the current situation of mixed movements of people: On 11 November the police near Loznica found a body of a man suspected to have drowned in the Drina River. While the investigation is ongoing, local media reported that some ten days ago, when a group of refugees/migrants tried to cross the river into Bosnia, two young men from Iran disappeared. It is suspected that the body now found may belong to one of them. 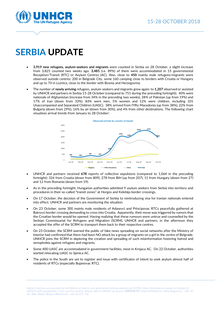 3,919 new refugees, asylum-seekers and migrants were counted in Serbia on 28 October, a slight increase from 3,825 counted two weeks ago. 3,485 (i.e. 89%) of them were accommodated in 15 governmental Reception/Transit (RTC) or Asylum Centres (AC). Also, close to 450 mainly male refugees/migrants were observed outside centres: 200 in Belgrade City, some 160 camping close to borders with Croatia or Hungary and up to 70 in Loznica, close to the border with Bosnia and Herzegovina.